Joe Biden has pledged to be "more mindful" about physical contact with women, hoping to draw a line under a controversy that has clouded his expected White House bid. Mr Biden stressed he has only ever intended to build a "human connection", rather than make anyone uncomfortable. "Social norms are changing, I understand that, and I've heard what these women are saying," Mr Biden, 76, said in a tweet accompanying the video, which looked like it had been recorded on a mobile phone. "It's the way I've always been, it's the way I try to show I care about them and I'm listening," he said. "The boundaries of protecting personal space have been reset," he said. "I understand it and I'll be much more mindful." On Tuesday, Caitlyn Caruso, a 22-year-old former college student, told the New York Times that at an event three years ago Mr Biden rested his hand on her thigh "even as she squirmed in her seat to show her discomfort". A 59-year-old writer, DJ Hill, told the newspaper that at a fundraising event in 2012 Mr Biden put his hand on her shoulder and then started dropping it down her back, which made her "very uncomfortable". Mr Biden's spokesman said earlier this week that neither the former vice-president nor his staff had had any idea that Ms Flores felt uncomfortable during her interaction with him. The veteran Delaware politician himself issued a statement this week, vowing to "pay attention" to Ms Flores, while maintaining he did not remember the incident. In the wake of the controversy, a pro-Trump political action committee, the Great America, released a video titled "Creepy Joe Biden". 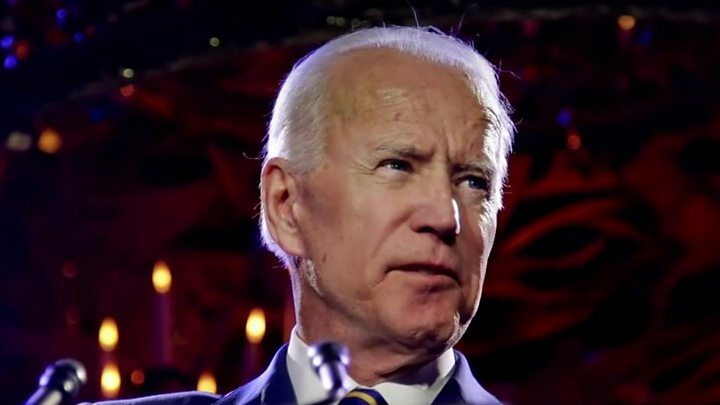 President Donald Trump has been taunting Mr Biden, suggesting the accusations were put forward by the Democratic party's left wing. "He's being taken care of pretty well by the socialists," Mr Trump told a National Republican Congressional Committee on Tuesday evening. "They got to him."